Karen Davis, Founding Partner and Principal Interior Designer for KD Design Studio, offers 20 years of diverse interior design experience to her clients. 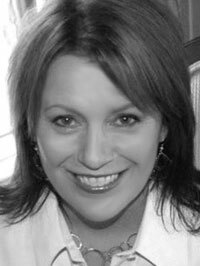 Karen brings a unique vision to each project that is complemented by her extensive experience in hospitality, commercial, retail, and residential projects. She skillfully blends the clients' desires for their new space with the existing elements the client wishes to preserve to create a truly custom design that showcases the clients' individual identity. Her intuitive understanding of interior scale, visual texture, balance, and light combine to turn each project into a beautiful and rare gem. Karen's diverse experience is exemplified in such projects as Chicago Classic Residence – a 37 story high rise congregate care facility on North Lakeshore Drive in Chicago; Riverside Square Mall – a high end fashion oriented shopping mall in New Jersey; The Durand Marie – a 76’ custom yacht for Queenship Yachts, and custom residential projects throughout the United States. Karen received her degree in interior design in 1988. Upon graduating she began her career at Culpepper, McCauliffe, and Meaders, Inc., where she gained invaluable experience in high-end hospitality design. Karen went on to join Cooper Carry and Associates in 1992 where she was a leader in their interior design department. In 1995 she founded KD Design Studio, where she turned her focus to providing complete interior design services for the high-end residential and commercial community. KD Design Studio is recognized as a leader in the field and was awarded with the 2007 American Society of Interior Designers Gold Design Excellence Award for residential work in Georgia.